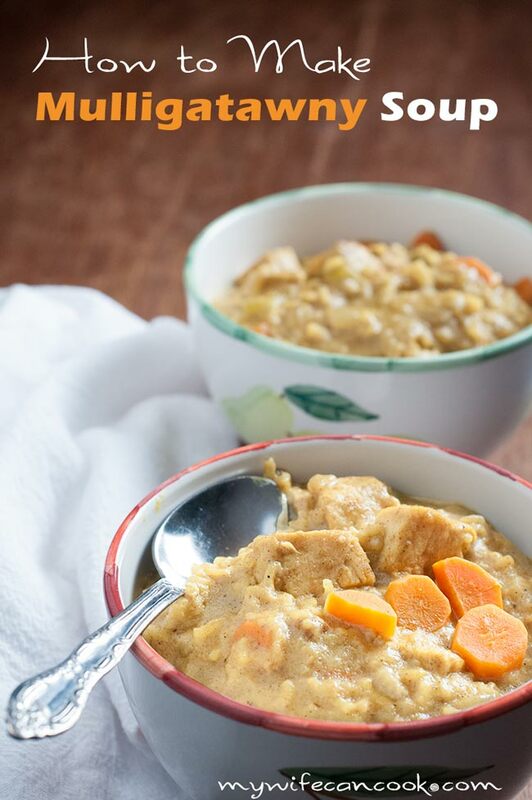 This is Instant Pot Mulligatawny Soup is one of our favorite fall soups, although really we make it constantly through the year. 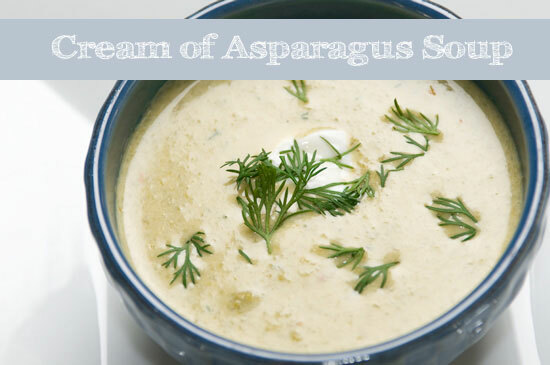 We make it in large batches that can easily be frozen or used for lunches for several days. I love the curry powder, garam masala, and turmeric spices mixed with coconut milk. Plus due to the rice and apples, it ends up thick and hearty, not thin and brothy and can be eaten as a meal that fills you up. In other words, it rocks! 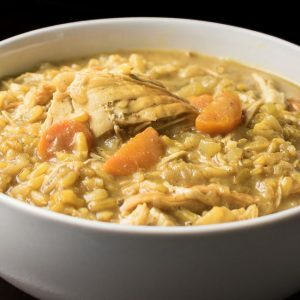 As we mentioned in our original Mulligatawny soup post, Mulligatawny soup is thought to be an English soup based on recipes originating in India. But, probably best known (by me anyway) by its cameo appearance on Seinfeld. 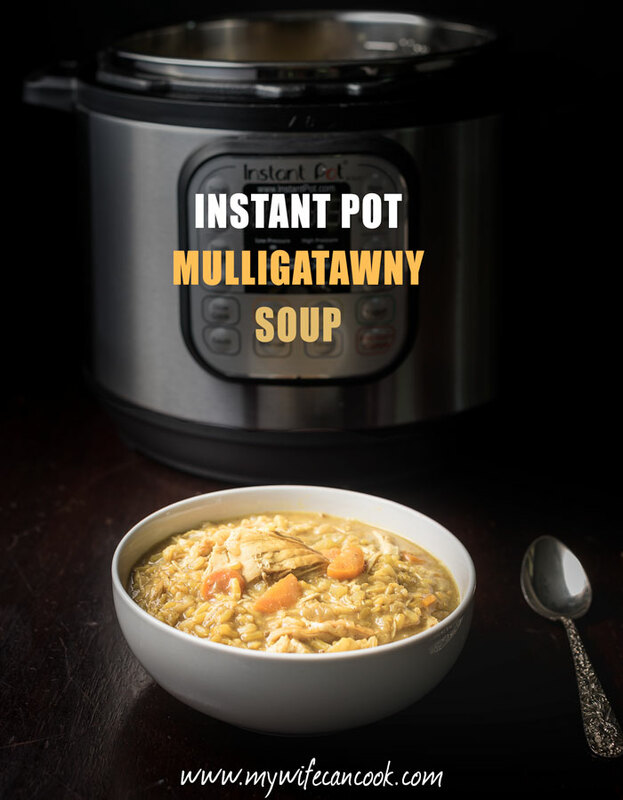 After making this soup for years, we decided we needed to try Instant Pot Mulligatawny Soup. 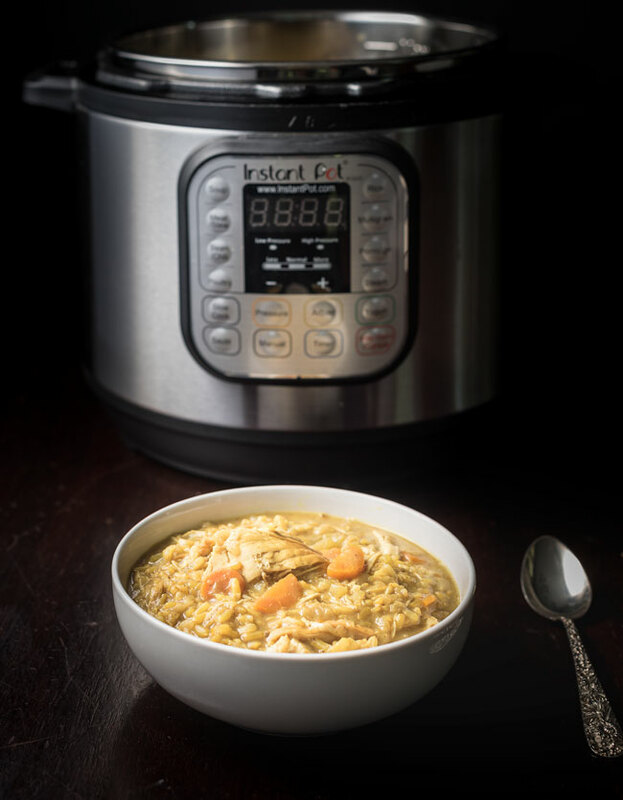 Because, yes, we are obsessed with our Instant Pot and we love trying it out with new recipes and with many of our old favorites. 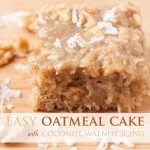 We use it on a daily basis for everything from oatmeal to rice to cheesecake. I still love the original recipe and sometimes still make it that way, but the Instant Pot version creates less of a mess and the chicken doesn’t need to be cooked separately. Plus, I do find that when I make it on the stove, I have to stir and watch more closely due to using brown rice and a long cook time. Any recipe I don’t have to babysit is a bonus in my book. I know you are looking at the apple in the ingredient list and wondering if that should really be in a soup. It is actually an amazing addition. I tend to use a hard, tart apple variety–Granny Smith, Northern Spy, or Pink Lady. I need to try more soups with apple in them like this carrot apple ginger soup or this butternut apple soup recipe. 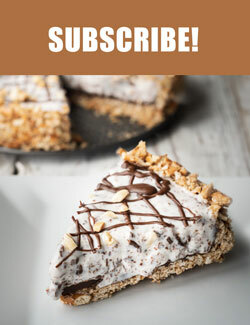 We used brown rice in this version which takes longer to cook in the Instant Pot. Instead of cutting up the chicken and sauteing it in spices before adding to soup, I used whole chicken breasts and placed them in the soup and cooked whole. I used chicken breasts that were in the refrigerator, but since the cycle is so long, you could also add small frozen chicken breasts. Then, once the cycle is complete and lid opened, just shredded the chicken right in the pot with a pair of tongs (be careful, it’s still REALLY hot!). Make sure you wait and add the coconut milk at the end once everything is done, it’s not something you want to cook for long period of time at high heat because it can curdle. Since this makes a large batch and is liquidy/soup, do not do a quick release right after the cycle is over. 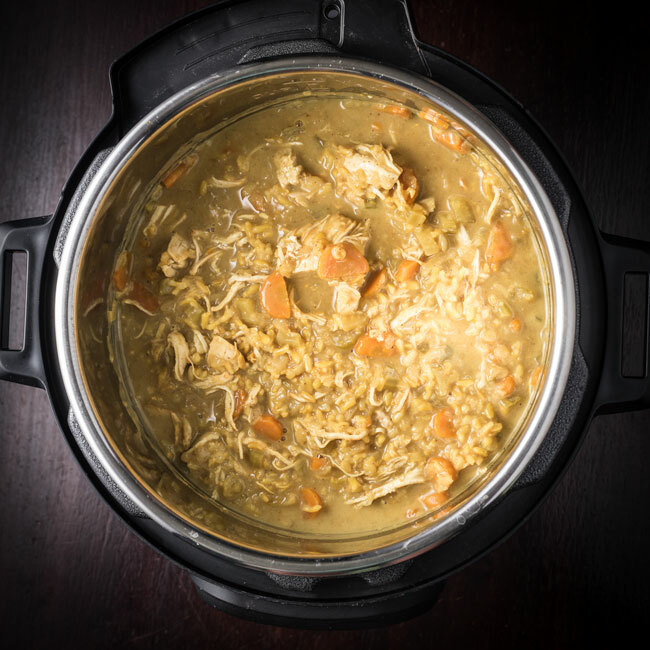 Turn the Instant Pot off and let naturally release for 10-15 minutes. The total time to make this soup will be closer to an hour since the pressure cooker will need time to come up to pressure. 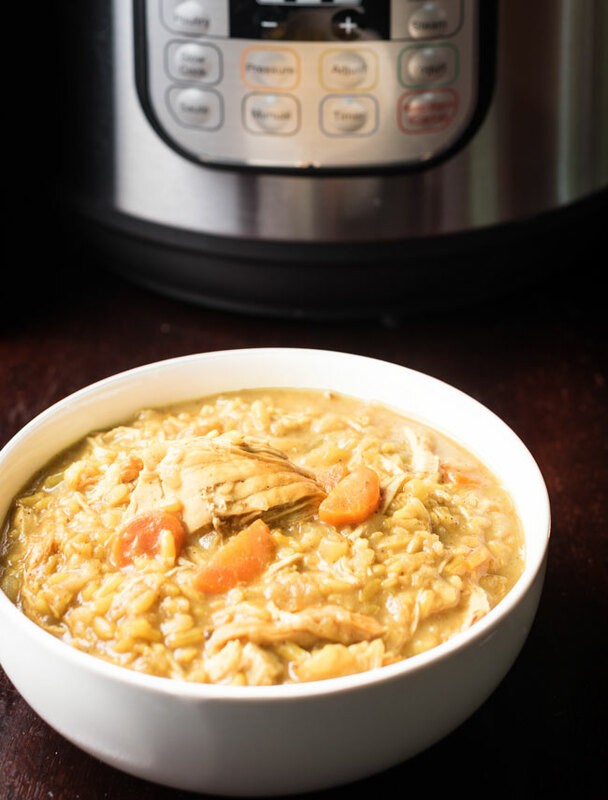 We modified our original Mulligatawny soup recipe for the Instant Pot. Chicken and rice soup flavored with garam masala, curry powder, and apples. Press the saute button on the Instant Pot and add coconut oil. Once oil has melted, add onion, stir and cook for 3-5 minutes. Add garlic, stir, and saute for 1 minute. Add carrots and celery, stir and cook for 5-6 minutes. Add all spices and salt and pepper, stir, and let cook for one minute. Pour about one cup of broth in pot and stir and deglaze pan. Add remaining broth, rice, grated apples, and chicken breasts. Close lid, turn vent to sealed, press manual, and toggle to 25 minutes. Let cycle run, then turn off, let naturally release for 12 minutes and release. Stir in coconut milk and serve. 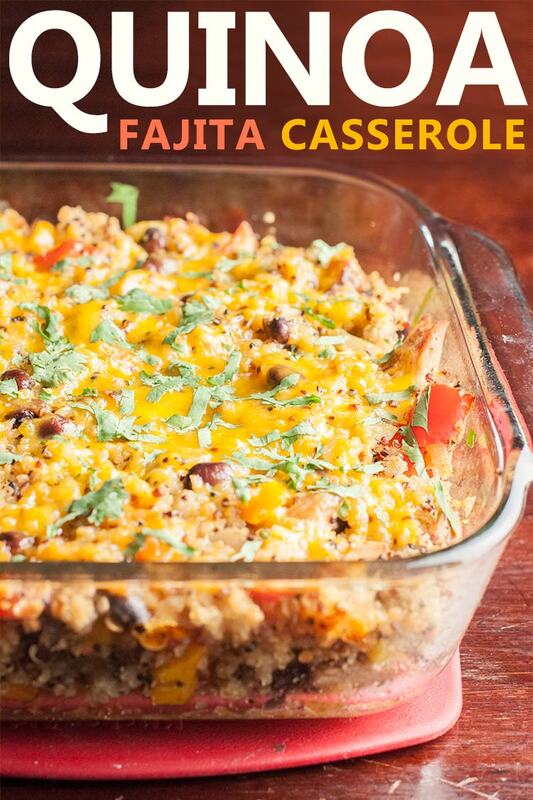 Does it reheat nicely for lunches the next few days ? Definitely. We will make an extra large batch to have for lunches for a few days. It does thicken up because of the rice, which I don’t mind–but you could add sauce if you want a thinner soup. I’ve also frozen it, which works, although it might need a little extra broth as well.